nintendo dsi - How Much Does It Cost To? Nintendo has been popular all over the globe for revolutionizing handheld gameplay. In fact, the DSi makes it on top of the list today of a lot of gamers, young and old alike. It features a sleek and folding design that brings gameplay to another level with great features such as dual screens, camera, Wi-Fi connectivity, and touch technology. If you are planning to get one soon, read on and find out how much this portable gaming system costs. The cost of a Nintendo DSi is $149.99 at the Nintendo DSi website. The price includes the Nintendo DSi system, AC adapter, two styli, Easy Start Guide, manuals, support booklet, and one-year warranty. DSi system. The above-mentioned price refers to the classic Nintendo DSi. There is also the Nintendo DSi XL system, which basically has the same features as the original Nintendo DSi system only in a plus-sized package. Nintendo sells this for $169.99. View a comparison of the original DSi and the DSi XL system here. Retailer. The prices mentioned here are the suggested retail prices of the manufacturer. The price can be higher depending on the retailer of your choice. Usually, the retailer’s price is affected by the geographical location, competition, and a lot of other factors. SD cards are sold separately so they will be an added cost when you purchase a Nintendo DSi system. The same is true for accessories like cases and protectors. Games can also be an added cost for your Nintendo DSi purchase. Nintendo games vary in price. For instance the New Super Mario DSi game is around $30. The typical price range of games is $10 to $50. Bundle games, on the other hand, can cost a hundred dollars or more. 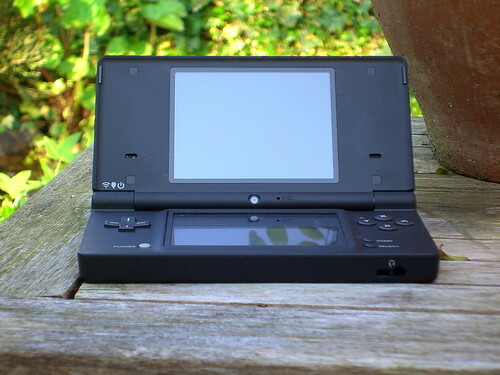 For a great review of the Nintendo DSi, check Gizmodo.com. Make sure to only shop at accredited Nintendo stores to ensure quality and authenticity of the products. The Nintendo Store is your best stop online for Nintendo products and accessories. Nintendo.com also lists Nintendo online retailers including Amazon.com, BestBuy.com, Dell.com, and a lot more. Check this link for the complete list. The DSi’s one-year warranty can be extended for another 90 days if you register the product online. Go to Club Nintendo to register your product and claim a lot of other rewards.